The research bulletin examines tax changes introduced by BC’s NDP government, which include the popular speculation tax, surtax increases on luxury real estate, and an employer health tax. Although the Fraser Institute’s research consistently fails to stand up to basic fact-checks, some of BC’s biggest media outlets like Global News and The Province passed along the right-wing think tank’s dubious findings without a critical lens. 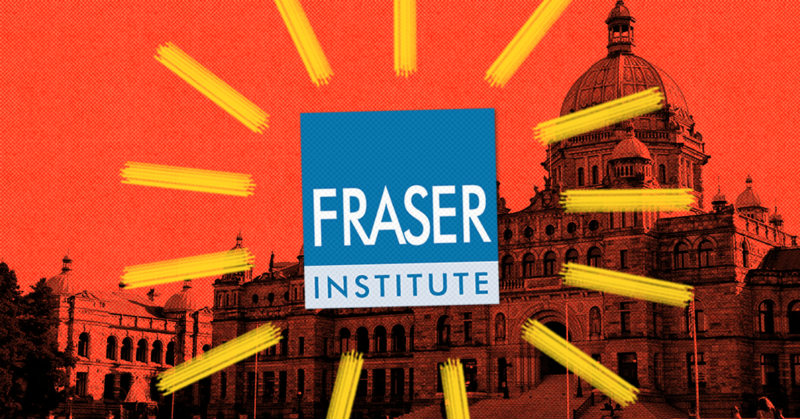 A closer look reveals the Fraser Institute’s claim that the “average” BC family will pay $1,000 more in taxes is not only wrong – their own report says otherwise. However, the report’s own data reveals that only families with a household income between $100,000 and $150,000 would pay $1,032. Families earning between $50,000 and $100,000 would only pay $560, whilst those earning between $20,000 and $50,000 would only pay $199. For the so-called “average family” to be taxed at around $1,000 per year it would need to be earning more than $100,000 per year – a whopping 20% higher than the actual median household income, according to the most recently available data. In addition to counting a tax on luxury cars valued at over $125,000 and a tax on real estate worth over $3 million on the tax bill of the “average family,” the right-wing think tank also quietly includes corporate income taxes and other taxes paid for by employers. Or take the Employer Health Tax as another example– that’s a tax introduced by the BC government to eliminate Medical Service Premiums. The Fraser Institute shifts the entire cost of that tax onto the bill of the “average family” without factoring in the $1,800 per year which most families in BC will save as a result of cutting the old Medical Service Premiums. 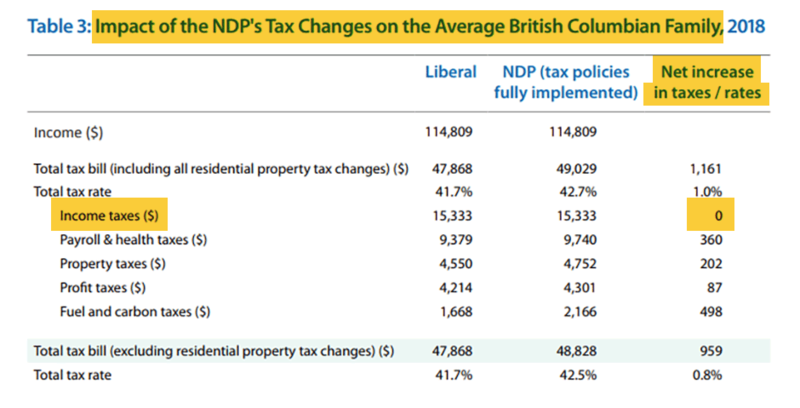 Despite claiming personal income taxes are going up, the Fraser Institute’s own data shows personal income taxes in BC didn’t increase by a dime. So, for “average families,” or those earning just above $81,000 per year (based on the most recent data available for median family incomes in BC), all of the supposed “tax increases” come from indirect sources – the “$1,000 per year” figure is based on nothing more than the Fraser Institute’s fuzzy math and dubious assumptions. Many of the “tax increases” the Fraser Institute claims the “average family” pays are actually taxes on businesses, not families. 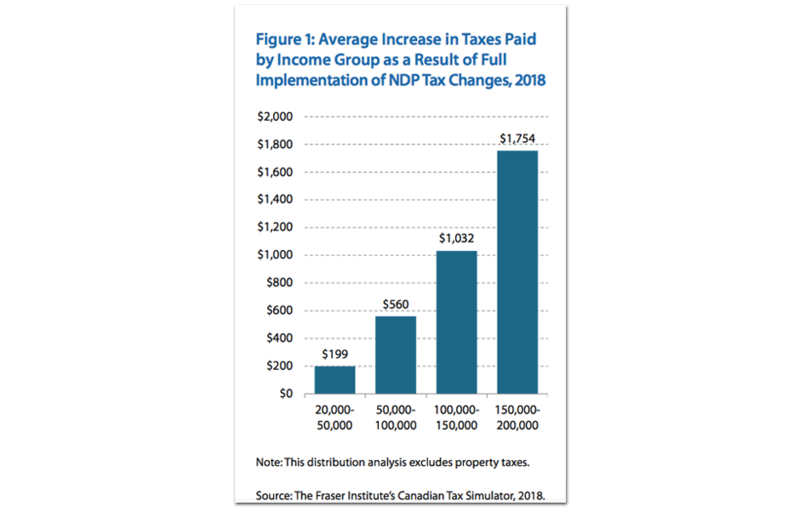 Even though the Fraser Institute claimed personal income taxes are going up, their own report shows individual income tax didn’t increase at all. 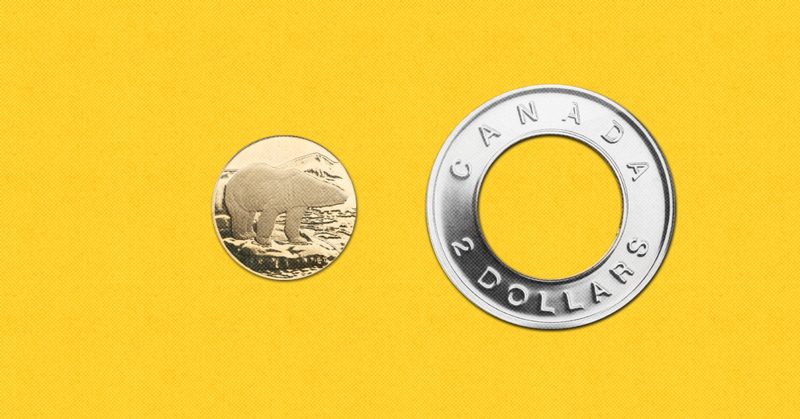 Corporate Canada is Demanding More Tax Giveaways. They Already Get $18 Billion From Special Loopholes. 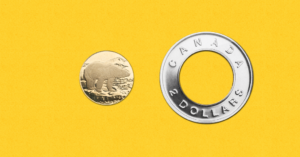 Thanks to a series of costly, confusing and complex loopholes, Corporate Canada already pays far less in taxes than they should. But now Canada’s big business lobby wants more, using US President Donald Trump’s massive tax giveaways as an excuse to push for even lower taxes for corporations.